Ahahah never thought about it!!! But you are so right. lol Hugs! Thanks for visiting and commenting, Prenin. You’re welcome, Cha, and all is good. My daughter will graduate in one more week. Woohoo! And she’s doing fine right now so we’re thankful for that. Glad to see you around again, too. 🙂 Big hugs back for a great weekend! 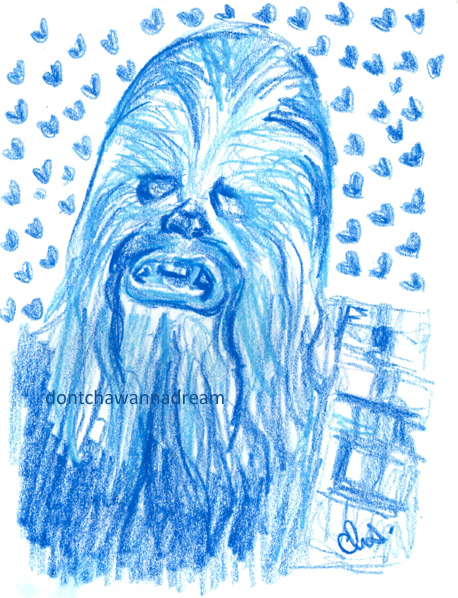 Chewie looks a little blue.